In some countries, more than 90% of nurses, community health workers, and midwives are female, but men retain most decision-making roles. Lack of access to clean water is a major contributor to the global disease burden. Girls and women spend more time collecting water than boys and men. Diet and exercise are important factors in preventing disease. Ensuring women have adequate access to physical activity is vital. Closing the gender gap in agriculture is recognized as one of the most effective paths towards increased yields and reduction of undernutrition. Health systems rely heavily on women’s contributions, both paid and unpaid. Female health workers are more likely to be unpaid or underpaid than men. The Commission on Women and Health was formed in 2012. 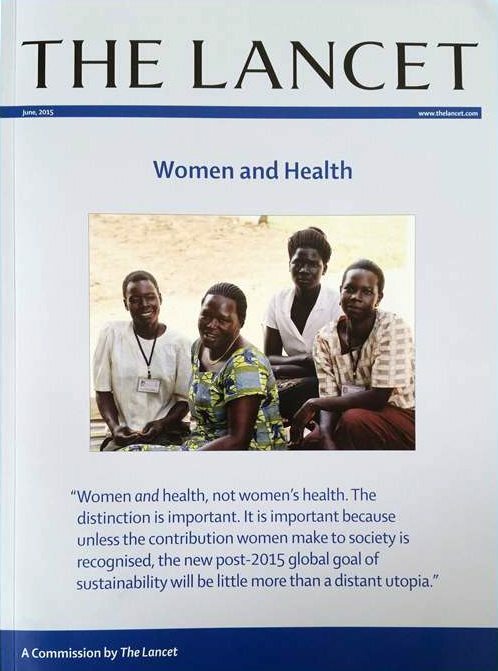 A partnership between The Lancet, the Women and Health Initiative at the Harvard T.H. Chan School of Public Health, and the University of Pennsylvania School of Nursing, the Commission aimed to review and generate evidence and develop a strategic framework for the women and health agenda. Women and health is a novel concept that refers to the multifaceted ways in which women and health interact, moving beyond a narrow focus on women’s health to address the roles of women as both users and providers of health care. Innovative approaches are needed to improve the health of women and girls and ensure that they are supported and valued in their multiple roles in society. Girls and women who reach their full potential make significant contributions to their own, their families’ and their communities’ health and wellbeing and are the key to sustainable development.